Loganville Christian Academy is super excited about the success of their Extended Classroom Initiative this spring semester. 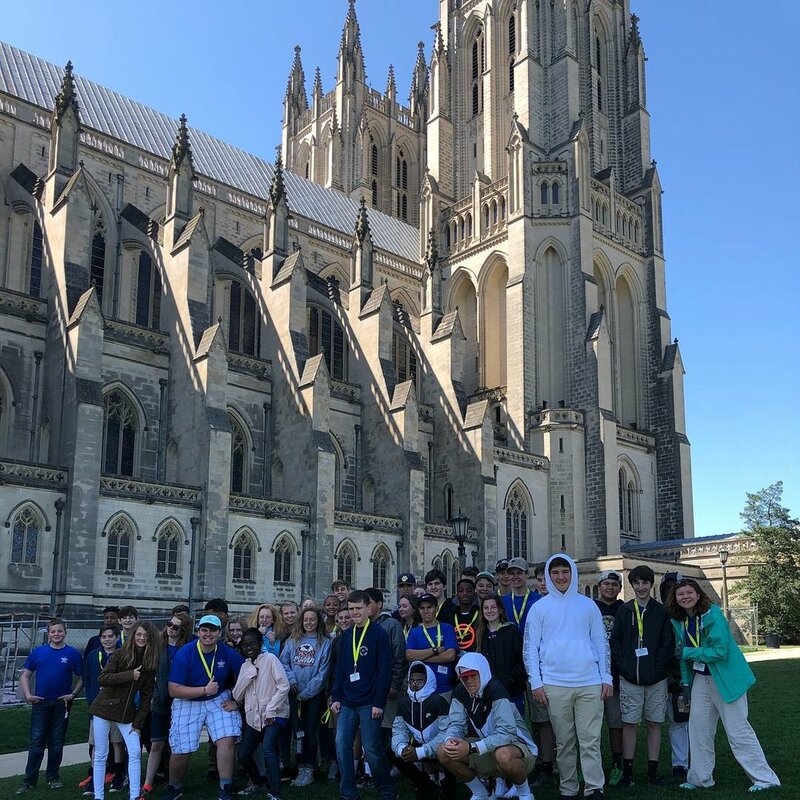 The eighth grade through senior classes enjoyed bonding together as friends while broadening their perspectives on educational trips throughout the eastern United States. The sites and facts that came to life outside of the classroom will be remembered by LCA students for many years to come! Recently LCA’s freshman class launched out and explored space travel during their visit to the U.S. Space and Rocket Center in Huntsville, Alabama. Strengthening their biblical worldview, LCA’s sophomore class stepped back in time and experienced Mammoth Cave, the Creation Museum and the Ark Encounter. The junior class was inspired by travel to Washington, D.C., seeing first-hand the nation’s capital and many of the historic sites. And the seniors enjoyed making memories together on their capstone trip—a Caribbean cruise. 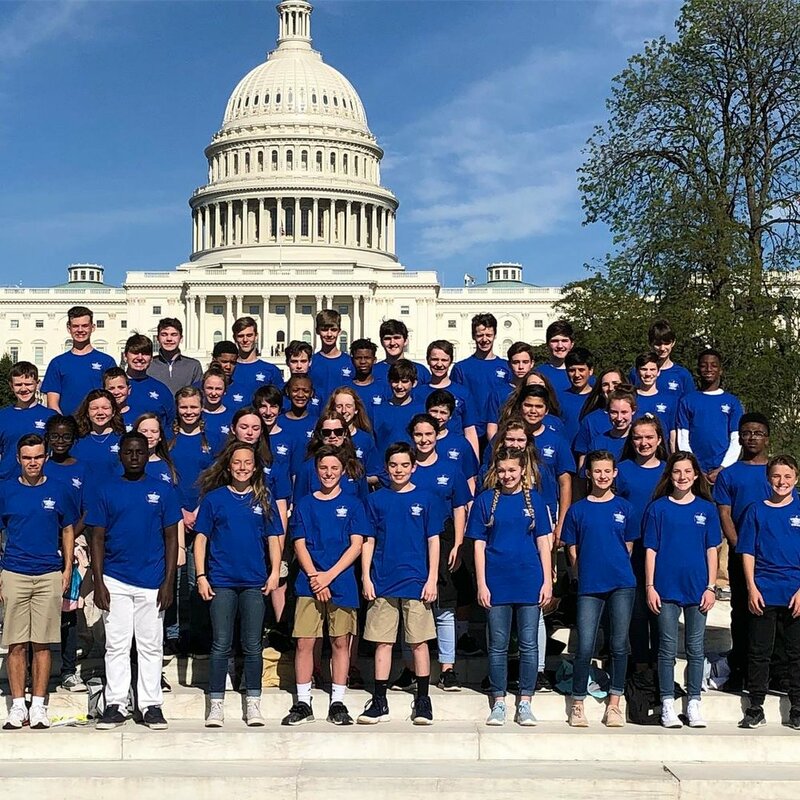 Last week, LCA’s eighth grade concluded this spring’s Extended Classroom Initiative by also spending a week deepening their understanding of our country’s history as they toured many historic sites on their way to and while in Washington, D.C. They left on Monday evening and arrived on Tuesday for a fun day in Colonial Williamsburg. The students saw first-hand what life would have been like in the 1780s, visiting the Governor’s Palace and seeing some of the historic trades in action. 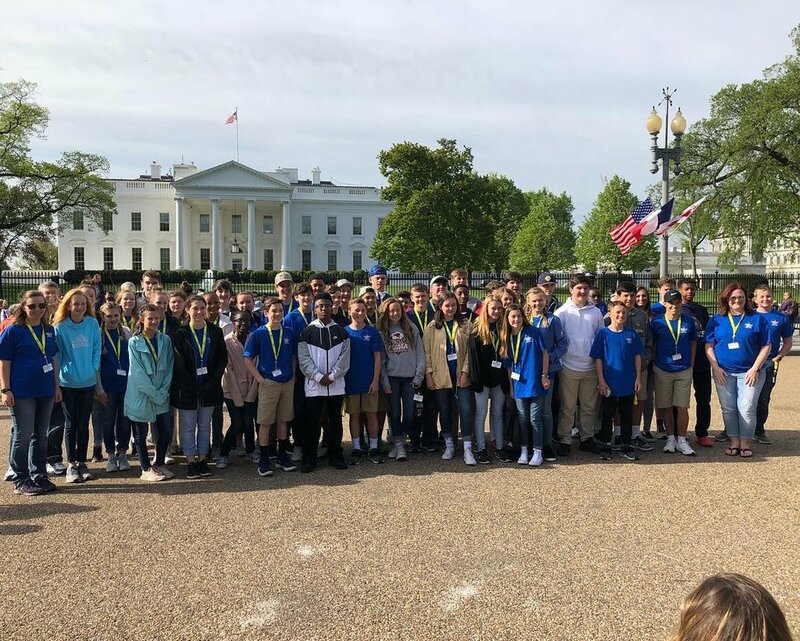 On Thursday and Friday, the eighth-grade class toured Washington D.C.—everything from visiting the White House to a walking tour of the monuments. The students visited the Holocaust Museum where they were able to grasp a better understanding of what life was like before, during and after WWII. “I enjoyed the memorials because they were very realistic about what happened—for example, the Korean War because of how they portrayed them walking in the bush,” said student Kade Stewart. 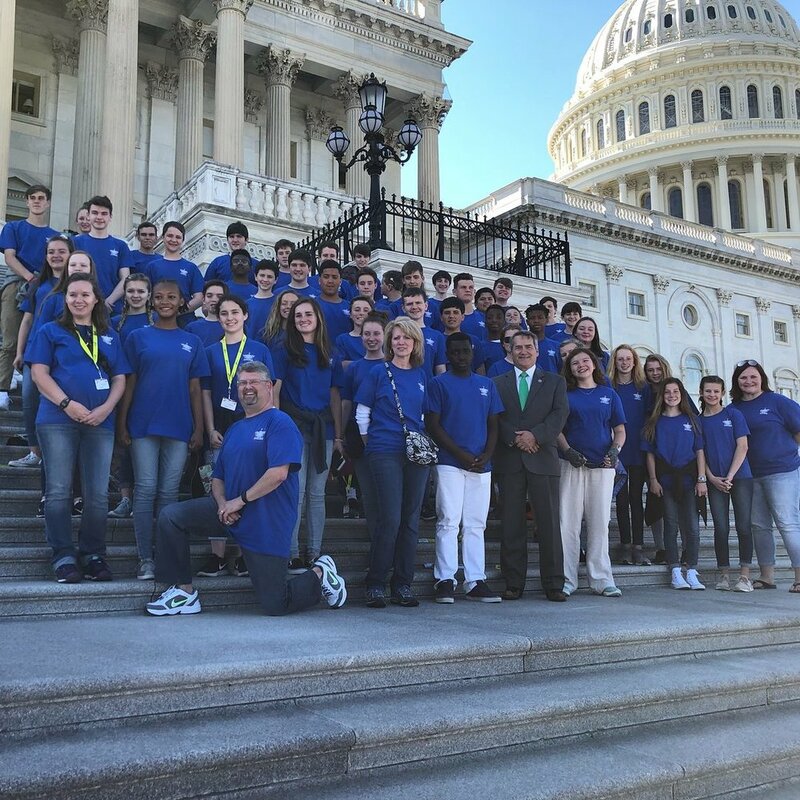 The LCA group also had the privilege of meeting Congressman Jody Hice. The students were able to ask him questions and get pictures with him on the Capitol steps. They also were able to tour the Capitol while there. On Friday, the students and sponsors paid their respects at Arlington National Cemetery to those who have paid the ultimate sacrifice for our freedom. They ended their trip by viewing some of our nation’s most important documents—the Declaration of Independence, the Constitution and the Bill of Rights. 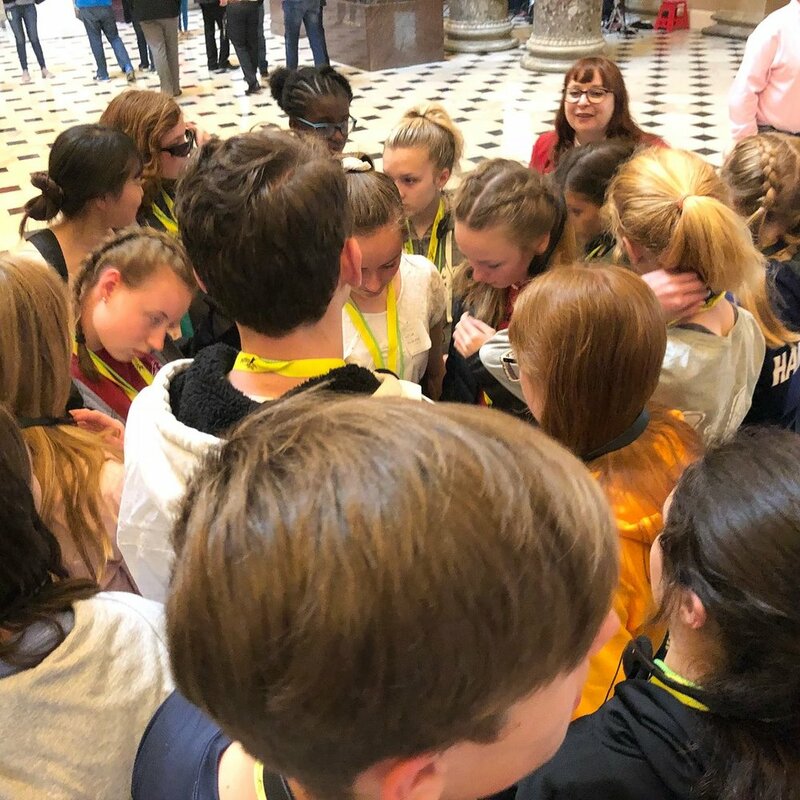 LCA students were appreciative of the incredible opportunities afforded them on all of these trips, and many observers along the way commented on the sharp young people who represented the Lord, their families and LCA so well. Thank you, parents, for sacrificing the necessary funds so that your children could be a part of the Extended Classroom Initiatives this year. They will not soon forget!